In 2015 I wrote about the outcry as the International Paralympic Association (IPA) pulled the plug on future Paralympic sailing. In 2012, 23 nations had entries in the Games, while in 2016 at Rio, only 16 teams had entries. The IPA dropped sailing from Tokyo in 2020 for one simple reason – not enough nations had entries to justify it. The answer to this is that we need to get more disabled people from around the world learning to sail. A big ask? It might well be. Is sailing easy for disabled people? At The Boating Hub we have shown time and again how easy it is for people with disabilities to learn to sail. You can have a range of disabilities and still play a major part on sailing a crewed boat such as the Sonar or 2.4mR Paralympic class boats. In 2012 I covered a quadriplegic skipper of Team USA in his entry to the Paralympics for several magazines. Yes – the man had no fully functioning limbs. He steered the boat using his arms on a special contraption, while his two crew helped race the boat according to their strengths. One of his Team USA teammates on the SKUD-18 was blind to all intents and purposes, and his skipper was paraplegic. She was the eyes and helm and he was the muscle on the sheets. There are a number of racing boat classes such as the 2.4mR that compete around the world, and mix the able bodied with the disabled. People with disabilities regularly beat the able bodied. What? A level playing field? There are very few other sports out there that create a level playing field for disabled and able bodied contendors. One of the aims of the Paralympics is to put disability into the spotlight. To show that disabled people aren’t some sort of sub humans best hidden away in a home away from their able fellows. I have what is termed a ‘hidden disability’ and resent such ideas with a passion. Shouldn’t disabled people be given the chance to show this on an elite stage? 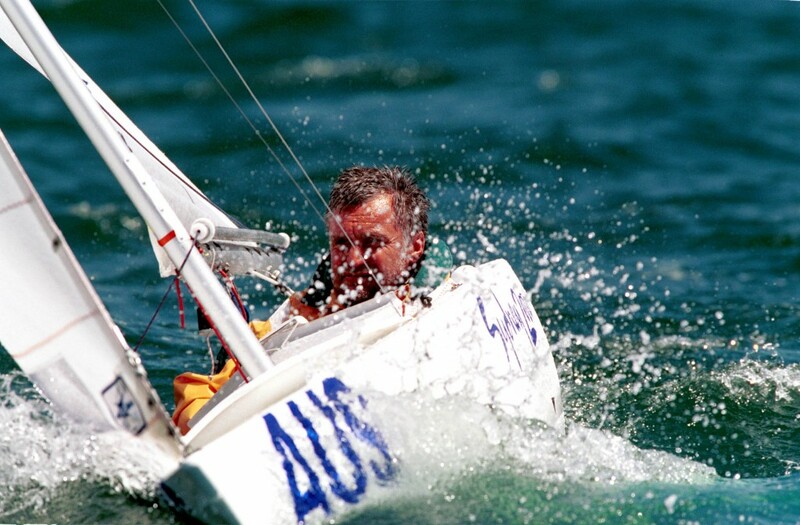 The international yacht racing governing body ISAF also governs, and is supposed to represent disabled sailing around the world. It lobbied hard with the IPA to get sailing back to Tokyo but for whatever reason failed. However it is the first port of call should you be in a sailing nation yet not know of any disabled sailing bodies in your own nation. For blind people there is Blind Sailing International that is a good first port of call to see the possibilities for blind people to get sailing. They show the sheer variety of sailing that can be done by people who can’t see. For my part I remember as a crewmember on a tall ship in the 90’s, a fellow crew taking a blind person 50 feet into the rigging. Ok, I wouldn’t have had them out on one of the spars helping furl a sail but that shows how mobile people can be! They say a fish shouldn’t worry about climbing a tree, so on a boat able bodied yet visually impaired people can do all sorts of other things. You never sail without tacking and gybing – have them on the sheets! A number of countries around the world – should we call them the most developed of developed sailing nations – have disabled sailing associations such as Sailability in New Zealand. Throughout this piece I have shown how easy it is for people to sail despite their disability. You just need to take that vital first step – take them sailing. If they have a wheelchair, ask them if it would cause them discomfort to lower them into a boat? If they can grit their teeth and put up with a few minutes of manhandling, then they will get far more out of the blast on the water than the inconvenience a few minutes of discomfort in being lowered into the boat! Disabled people as a rule have a hatred of assumptions being made about them and their limits. Sailing for everyone is about pushing your limits to some extent, and if you think someone with MS enjoys sitting in their house all day watching TV you have another thing coming! Sailing as we all know is a multisensory activity with the sights, sounds, smells, tastes and sensations of being afloat so important to everyone. Just because they may not have one of those senses, or cannot feel their legs, should they be denied a chance to learn to sail? Ultimately for Paralympic sailing to return, then we need to get back to basics. Teach people of all abilities to sail. With that, allow them to fall in love with it, and learn to be competitive. When enough people in your country with a disability are competitive? Get them on the international circuit and who knows, disabled sailing may take another step returning to that most important of all international sports events!